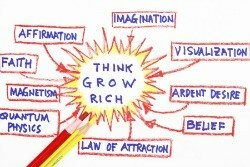 The Law of attraction techniques can work for you. However, in order for them to work, you need to first believe that they will work. If you go into it with an assumption that the techniques will not work, then they will not work. If it is your intention to prove that this will not work, it should come as no surprise to you that it will not work. It will work, if you believe and follow the steps. What is it that you want to attract? You need to know what you really want to attract, and it has to be specific. If you want to attract money instead of just thinking of more money in general terms... think about how much money you want in your bank account. If you want better health, focus your thoughts on what aspects of your health you want to be better. If you want better relationships, you need to focus on the aspects in a partner that you desire. Once you know what you want to manifest, you can begin to visualize it. This does not mean that you visualize it once and then sit back and wait. You need to visualize several times a day...so that you are holding your intentions in your thoughts constantly. When you begin to visualize, be realistic. For example, if you want a new car...do not just visualize a car sitting on the driveway from a distance. You need to visualize the car in detail, including the paint, the interior, and more importantly... you need to visualize yourself driving it. Put yourself right in the action of your visualization...and involve all of your senses. Things will not manifest out of nothing to fulfill your desires… you must act. Another common misconception of the Law of Attraction techniques is that you think about something, and then you sit and wait. It simply does not work like that. Things will not manifest out of nothing to fulfill your desires. You will need to act on these methods. Always keep your intentions in mind. Keeping your intentions in your mind, heightens your awareness to any opportunities that might come up...which may be steps toward reaching your desired goals. Nothing happens without action. Keep your eyes open for opportunities that will move you forward. The Law of Attraction methods, when used correctly, will bring what you want in your life. They also help you keep the attitude that you need in order to manifest your wishes. That attitude, on the other hand, also helps to improve your life overall. You will find yourself a more positive, grateful and happier person. Are you ready to put the law of attraction techniques to work for you in your life?